education event for county 8th graders in briar creek watershed! Over 500 Columbia County 8th graders will be learning about water quality at six different education stations during the day. Learn more about the event by visiting http://www.columbiaccd.org/water-education-day.html. BCAWS members volunteer to help make this day a great success. 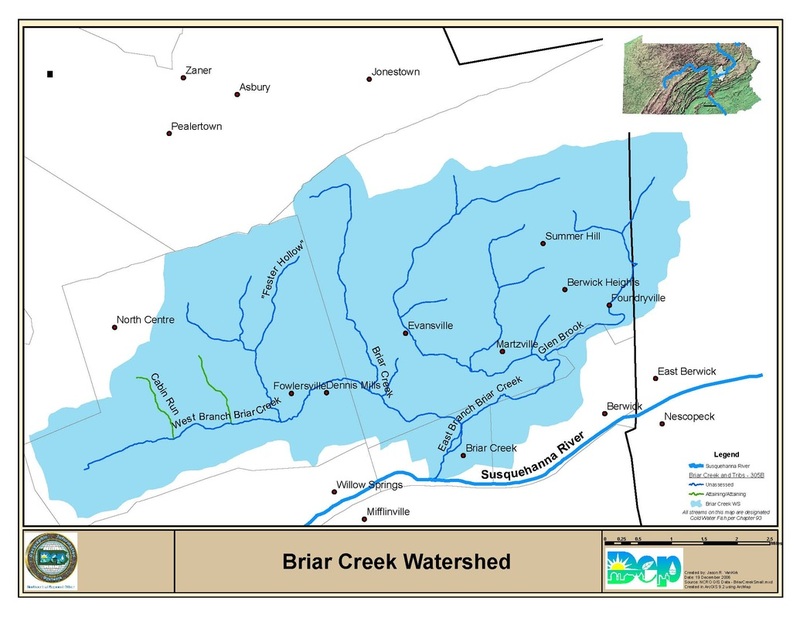 Mission statement: Establishing partnerships to promote awareness and action on a local, state, national and global level with an eye towards preserving the precious and unique resources of Briar Creek, and, by extension, the greater Chesapeake Bay Watershed.